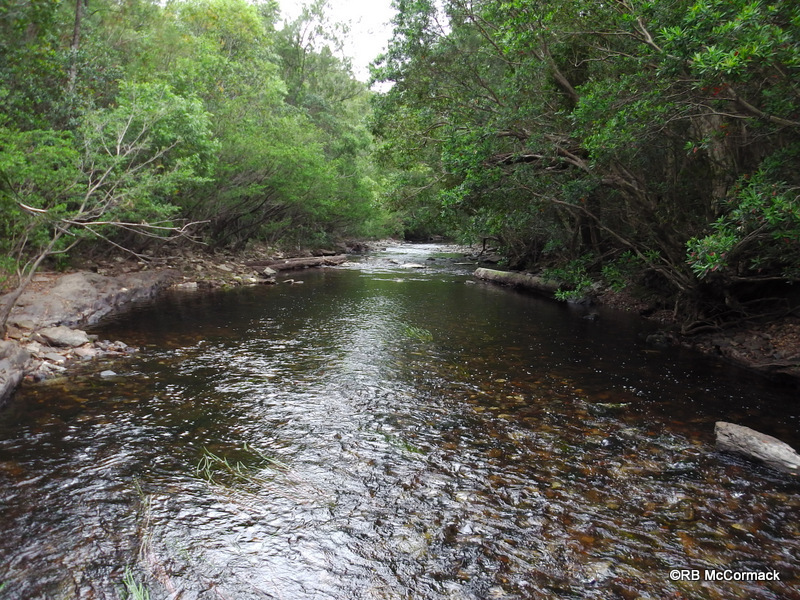 We have finally finished our aquatic surveys of the lower Clyde River, NSW. It’s an exciting area with mostly pristine clear flowing streams full of aquatic life. The results of the survey have been extremely interesting and have resulted in some significant findings. We have identified 3 different freshwater crayfish species in the lower Clyde River and they all match the known descriptions for all three species. Interestingly, the specimens of Euastacus crayfish previously collected from the upper Clyde are generally morphologically different to those in the lower Clyde. Eventually we will get the genetics done on all the specimens collected and then work out whether the upper Clyde specimens are a morphological variation or a separate species. Stay tuned for further updates. The full results of the aquatic biological surveys will be complied into a report and issued to the Southern Rivers Catchment Management Authority. 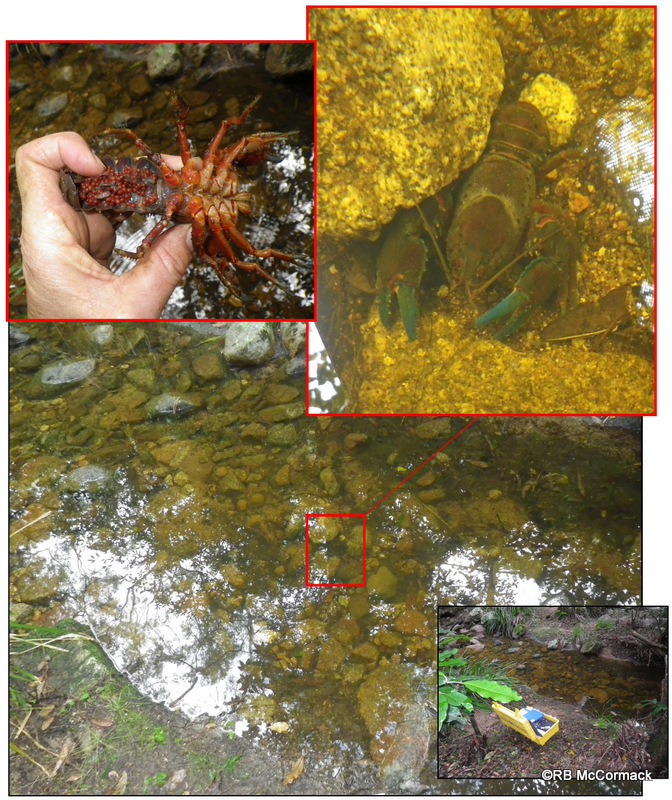 We surveyed 57 sites and at 43 of those we captured freshwater crayfish. A total of 149 Euastacus yanga were captured, examined, weighed, measured, and released during this survey. Euastacus yanga has the third largest distribution of any Euastacus species in Australia after E. spinifer and E. armatus. Found in south-eastern New South Wales from Robertson all the way south to north-eastern Victoria. It’s distribution extends from the Shoalhaven River in the north, then south through the Clyde, Deua, Tuross, Brogo, Murrah, Bega, Towamba, Womboyn, Wallagaraugh and Genoa rivers, as well as all the smaller coastal rivers and creeks running into all the inlets, lakes and bays down the coast. Found from 50 m to 895 m a.s.l it is a widespread and abundant species. 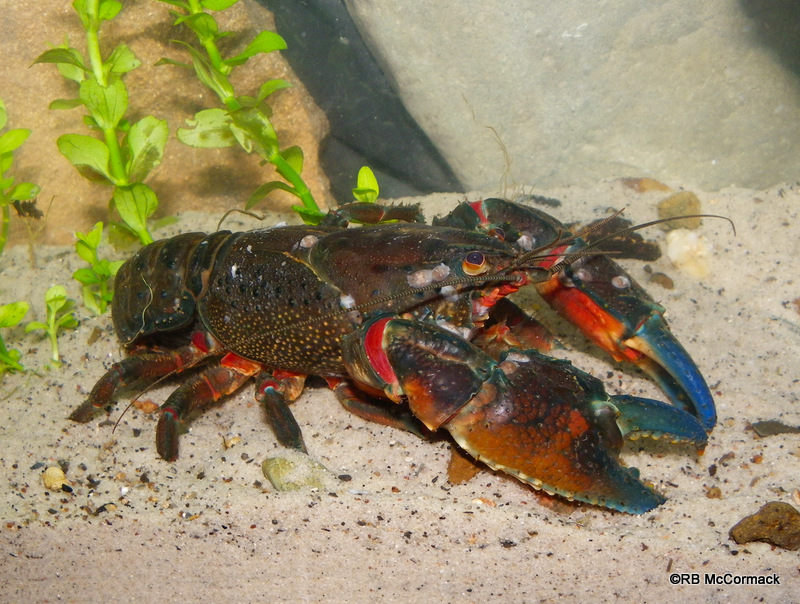 We observed Euastacus yanga to commence breeding in mid May in water temperatures between 11.3-12.1°C. The berried females nurtured their eggs and young till mid November to mid December when they released their brood into the streams. A huge amount of information was gathered as part of the surveys and this will be compiled into a peer reviewed scientific manuscript.